Want to hang out? 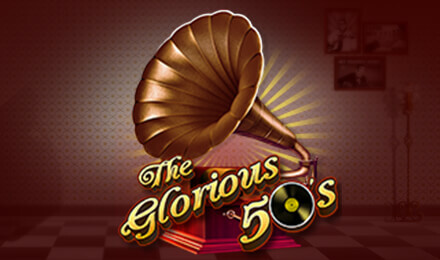 No sweat, come enjoy the 50’s retro vibe here on The Glorious 50’s Slot. Land nine bonus symbols and pick your own prize! Take the time machine and head back to the good old days of the 50’s with The Glorious 50’s Slots. A beautiful creation of GGP, this 3 reels, 5 paylines classic online slot machine will make you relive the yesteryears on its reels. The Wild Vinyl symbol replaces all other symbols to be part of winning combos. Catch a throwback experience during its marvellous Free Spins feature where everything that you win is subject to a multiplier of up to 6x. The bonus symbol will take you to the Pick Bonus where up to 22x your stake value can be won!